Each item is perfect for you or birthday gifts, thank you gifts, Mother’s Day gifts or small stocking stuffers and so on. Every product is carefully hand made in small batches with love and the best ingredients! Any of the products can be put together in custom gift bags. Please inquire within from my contact page. I accept Venmo. 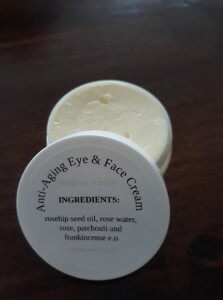 Anti-Aging Eye and Face Cream – I am so excited about this cream! 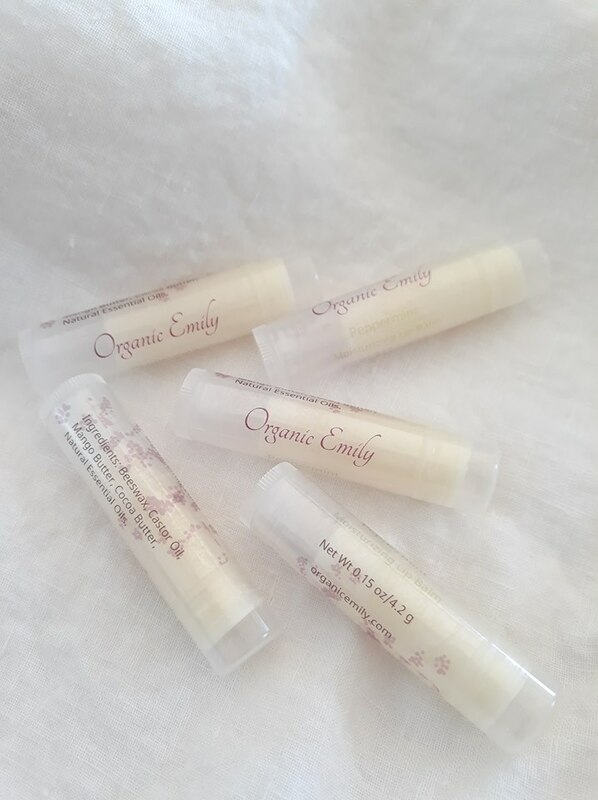 It smells heavenly and made with all organic ingredients. Rose hip seed oil is known for its anti-aging properties like decreasing lines, wrinkles and age spots. You’ll love it! Natural Antibiotic Ointment – Use on any scrapes, scratches or other minor injuries to prevent infections. 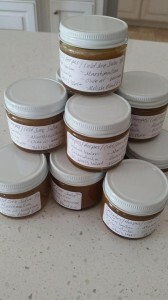 Price – $10 (2 ounce jar). 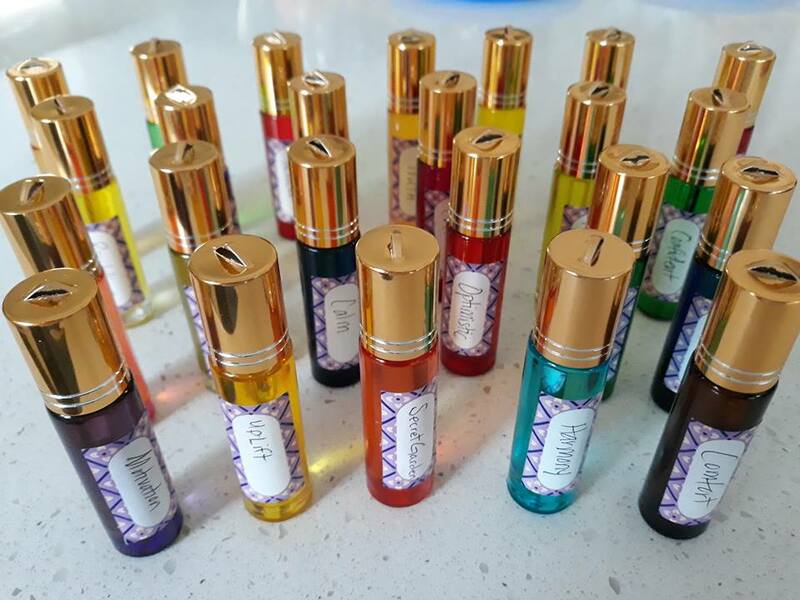 Aromatherapy Room Sprays and/or Diffuser Blends! There are lots of options to choose from! 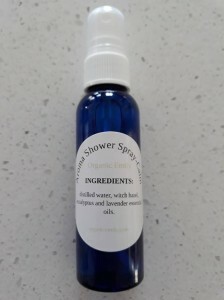 They are simple to use, just shake and spray in the home, car, on a pillow or blanket. Another option would be to simply pour contents of bottle into a small diffuser to fill a room with a lovely aroma. The base for the room sprays are distilled water and witch hazel. Stress Relief – Frankincense, Cedarwood, Rosemary, Orange, Grapefruit, Lavender and Cinnamon. Energy Boost I – Lemon, Eucalyptus, Peppermint, Cinnamon and Cardamom. Energy Boost II – Eucalyptus, Rosemary, Cypress, Juniper Berry and Spruce. Immune Boost – Rosemary, Orange, Cinnamon, Clove and Eucalyptus. Time To Sleep I – Marjoram, Cedarwood, Lavender and Vetiver. Time To Sleep II – Bergamot, Lavender, Sandalwood, Frankincense and Ylang Ylang. Sharp Recollect – Rosemary, Lemon, and Clary Sage. Relax and Unwind – Lavender, Chamomile, Ylang Ylang and Sandalwood. Asthma Calm – Lavender, Geranium, Marjoram, Peppermint and Ginger. Positive Outlook – Lime, Lemon, Grapefruit, Peppermint and Rosemary. Anxiety Be Gone – Bergamot, Lavender and Chamomile. These aromatherapy shower sprays come in 3 different blends. They are the perfect pick me up or relaxing quick “spa” experience when you only have a little time to give to yourself. Shake well before using and spray 5-10 pumps before showering. Price – $4 (2 oz) bottle OR $8 (4 oz) bottle. Shower Energize – Invigorating blend to help rejuvenate and energize. 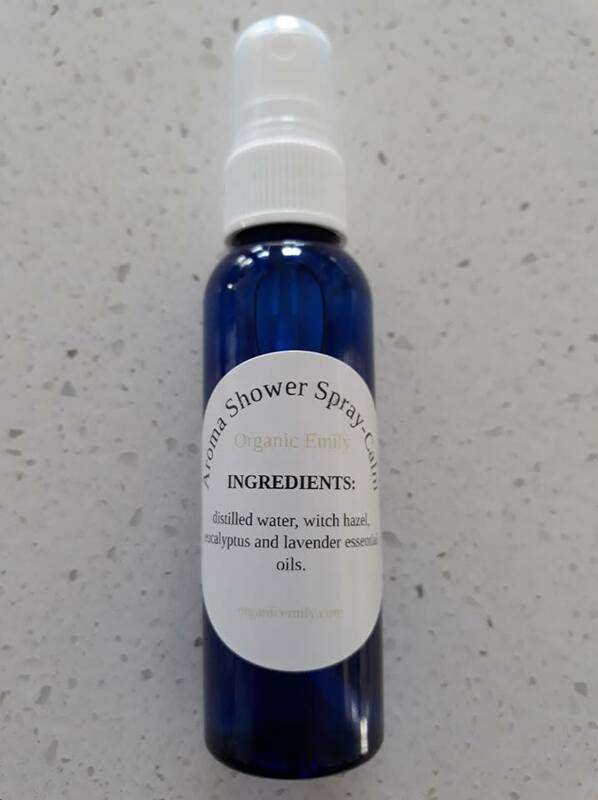 Ingredients; distilled water, witch hazel, eucalyptus, lemon and peppermint essential oils. Shower Congestion and Sinus – just the right blend for when you’re feeling under the weather with a head cold and sinus pressure. 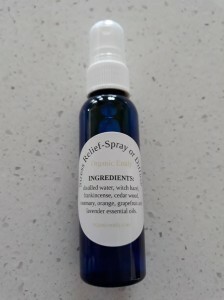 Ingredients; distilled water, witch hazel, eucalyptus, peppermint and thyme essential oils. 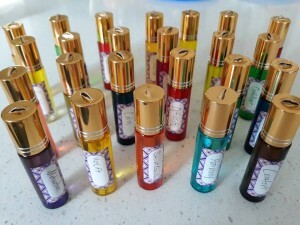 I’m really excited about these new 31 different Natural Wellness and Perfume Rollers! The base ingredient is fractionated coconut oil. They are perfect by themselves or added to a gift set. Price for most blends – $8 (1 oz bottle). Happy Place – is a bright cheery scent that uplifts the senses and mood. It smells just like candy. Essential oils used are orange, lime, tangerine and bergamot. Uplift – is the perfect citrus blend to energize and create a positive outlook for the day! Essential oils used are orange, lemon, bergamot and grapefruit. Revitalize – is renewing and calming all at the same time. It has a lovely scent as the ylang ylang, lavender and orange essential oils harmonize perfectly together. Invigorate – has a spicy and energizing effect. The essential oils that make it smell delicious are white fir, orange, rosemary and basil. Peaceful – is a very calming and hormone balancing blend. Perfect for times of agitation and irritability. It contains lavender, geranium, chamomile, ylang ylang and clary sage. Frazzled Nerves – has a really lovely scent. It is calming to the mind, without making you feel tired. The essential oils used are clary sage, geranium, lavender and orange. Truth – has a confident and powerful effect on the senses without being over bearing. The essential oils used are lavender, orange, frankincense and lemongrass. Gratitude – creates just that, a feeling of gratitude and peace with who you are. The essential oils used are orange, bergamot, geranium and white fir. Manly – has a nice earthy masculine scent. The essential oils used are cedarwood, balsam fir and vetiver. Renew – is a warm and lovely spicy blend. Essential oils used are cardamom, sandalwood, cinnamon, ginger and clove. Hope – is another citrus blend with a hint of earthiness to it. The essential oils used are white fir, grapefruit, orange, lemon, bergamot and tangerine. Inward – takes one to a place of reflection. It has a more masculine scent, but can be worn by anyone. Essential oils used are lemon, basil, rosemary, cypress and frankincense. Confident – is another strong and invigorating blend. The essential oils used are bergamot, tangerine, basil and clary sage. 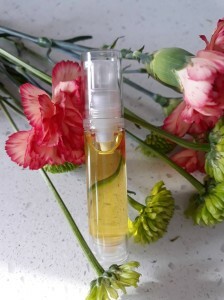 Refresh – is an uplifting blend with a clean scent. Essential oils used are orange, white fir, rosemary and basil. Comfort – is a lovely warm blend that comforts all the senses and soothes upsetting moods. Essential oils used are frankincense, ylang ylang, sandalwood and patchouli. Focused – is the perfect blend for sharpening the mind for a specific task. Essential oils used are orange and peppermint. Calm – is very helpful for anxiety or hyperactivity. Essential oils used are lavender, orange, cedarwood and frankincense. Harmony – has a really nice earthy and balanced aroma. Essential oils used are spruce, cedarwood, juniper berry and white fir. Motivation – contains a spicy, citrus aroma, perfect for any time of the day when a little motivation is needed. Essential oils used are black pepper, lime, orange, frankincense and bergamot. Optimistic – smells like cinnamon candy with a hint of citrus. You’ll find the best in everything with this one! Essential oils are orange, lemon, clove, ginger and cinnamon. Energize – is a warm and spicy blend that picks up energy levels another notch. Essential oils used are grapefruit, frankincense, orange, bergamot and cinnamon. Creative – a blend that gets those creative juices flowing! It’s energizing and invigorating. Essential oils used are tangerine, juniper berry, bergamot and clary sage. Headache – Soothing for all headaches. Apply to neck and temples. Essential oils used are peppermint, frankincense and lavender. Women’s Hormone Balance – balances hormones and symptoms from PMS and irritability. Essential oils used are clary sage, bergamot, ylang ylang, geranium and tangerine. Digestion – Perfect for tummy aches and bloating. Just apply to stomach area and feet. Essential oils used are ginger, peppermint, fennel and lavender. Joyful – This blend brings out the best in everything! Essential oils used are lavender, tangerine, lemongrass, ylang ylang and sandalwood. Immune Boost – I love this smell! It reminds me of the holidays. Perfect blend to keep the immune system fighting off any foreign invaders. Essential oils used are clove, cinnamon, eucalyptus, rosemary, orange and oregano. Sleepy Time – Calming and soothing. This is the perfect blend for the feet and temples to help one sleep deep and well. Essential oils used are lavender, chamomile, vetiver, cedarwood, ylang ylang and marjoram. 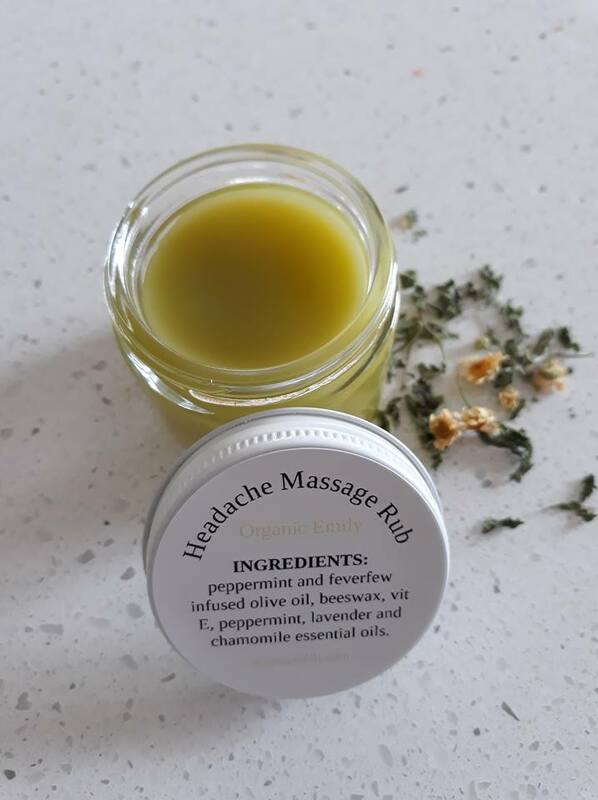 This Headache Massage Rub is perfect for on the go needs. Keep it close to your bed on a nightstand or at your desk at work. I love using it for my loved ones and massage clients. Ingredients; peppermint and feverfew infused olive oil, beeswax, vitamin E oil, peppermint, lavender and chamomile essential oils. There’s nothing better than to receive a massage and then soak in a warm bath to relieve a bad headache. You can buy the Epsom soak and massage oil separately or together for a discounted price. If you prefer a different oil let me know and I can make one specific to your needs. Makes a perfect gift for anyone! Tension Headache - Massage oil – $8 (4oz) – Apply to neck, shoulders, back and even feet with firm pressure. 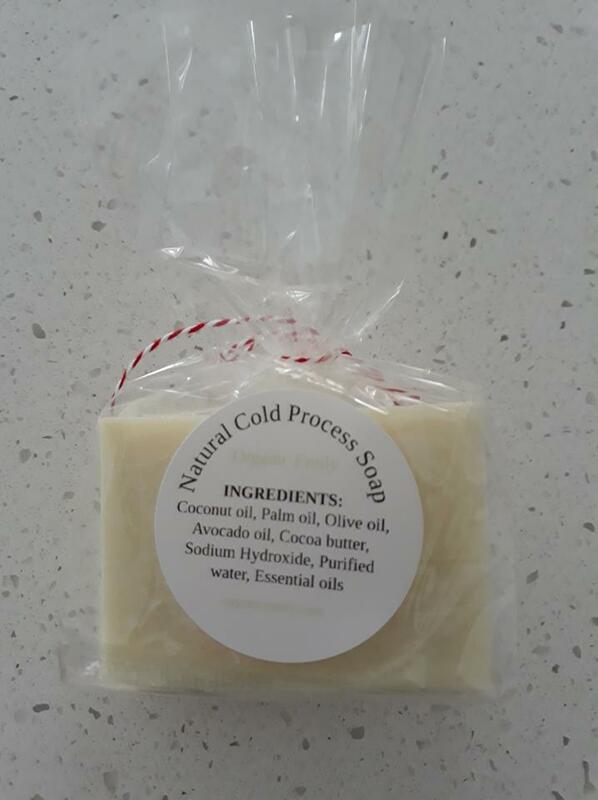 Ingredients; fractionated coconut oil, eucalyptus, chamomile, rosemary and lavender essential oils. Tension Headache - Epsom Soak – $8 (8oz) – Pour contents into warm bath and soak for at least half an hour. 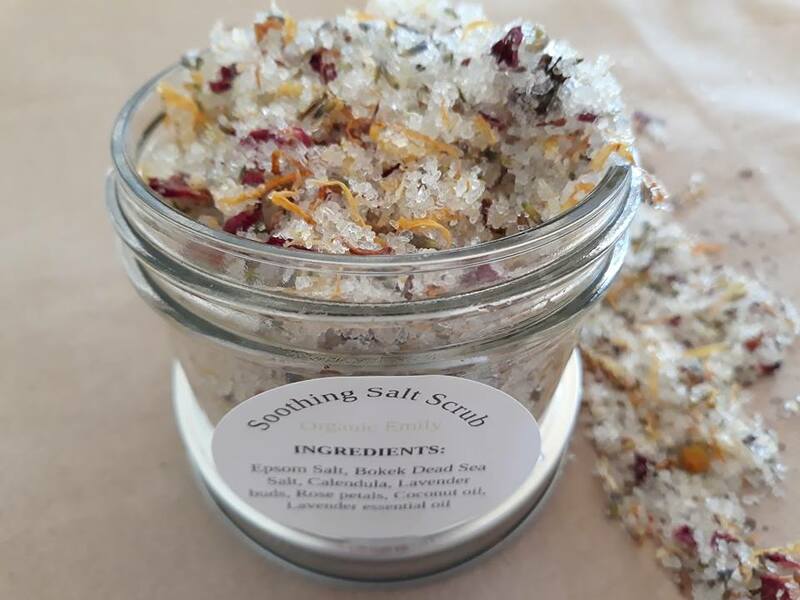 Ingredients; Epsom salts, eucalyptus, chamomile, rosemary and lavender essential oils. Migraine Headache – Massage Oil – $8 (4oz) – Apply to neck, shoulders, back and even feet with firm pressure. Ingredients; fractionated coconut oil, basil, lavender, marjoram, peppermint, and frankincense essential oils. 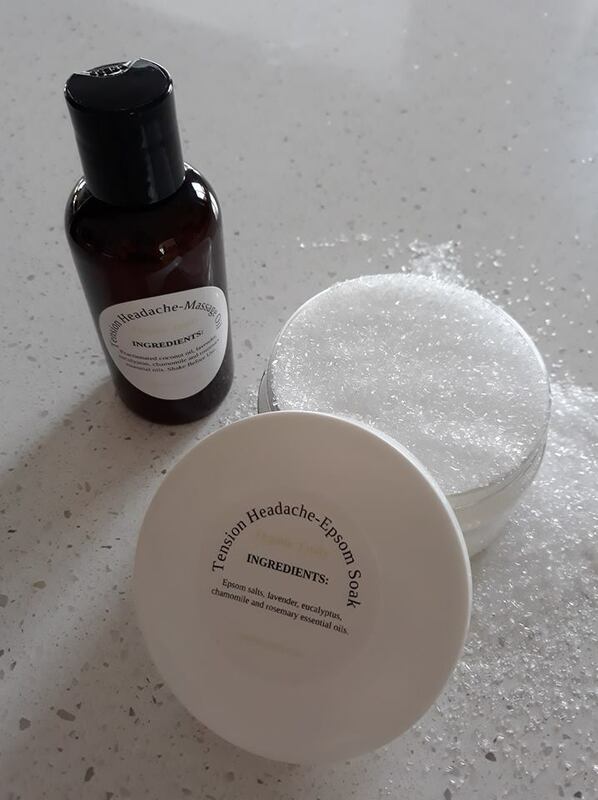 Migraine Headache - Epsom Soak – $8 (8oz) – Pour contents into warm bath and soak for at least half an hour. Ingredients; Epsom salts, basil, lavender, marjoram, peppermint, and frankincense essential oils. You can’t go wrong with using all natural organic ingredients when it comes to taking care of your skin, especially for the face. This Natural Foaming Face Wash comes in five different 8 ounce varieties for your personal needs. Shake before use after removing make-up with coconut oil. Should be used within 6 months. $7 – Normal Skin – distilled water, castile soap, aloe vera gel, lavender and tea tree essential oils. Lavender and tea tree are both effective for skin issues like rashes, cuts, scratches, etc and contain overall good cleansing properties. $8 – Sensitive Skin – distilled water, castile soap, jojoba oil, sandalwood, frankincense, helichrysum and rosemary essential oils. Sandalwood regenerates skin and tissue damage. Frankincense is used to improves skin cell structure and decrease inflammation. Helichrysum is used as a natural sunscreen and anti-inflammatory. Rosemary is used as a secondary astringent to help tighten skin tissue. $7 – Acne-Prone – distilled water, castile soap, witch hazel, lavender, lemongrass and tea tree essential oils. Lavender and tea tree are effective for any skin issues and scaring. They are both antimicrobial oils to help purify the skin. Lemongrass helps to improve circulation and natural healing. It also helps to repair damaged connective tissue and specific to acne. 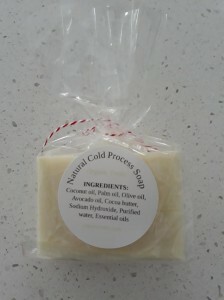 $7 – Dry Skin – distilled water, castile soap, sweet almond oil, lavender and frankincense essential oils. Lavender is effective for all skin issues including dry spots. Frankincense is used to improve skin cell structure and decrease inflammation. $8 – Mature Skin – distilled water, castile soap, rose hip seed oil, lavender, frankincense, sandalwood, helichrysum and myrrh essential oils. Frankincense is used to improve skin cell structure and decreases inflammation. Lavender is effective for all skin issues. Sandalwood regenerates cell and tissue damage. Helichrysum protects from sun damage and myrrh is used to increase circulation and an astringent to tighten blood vessels. 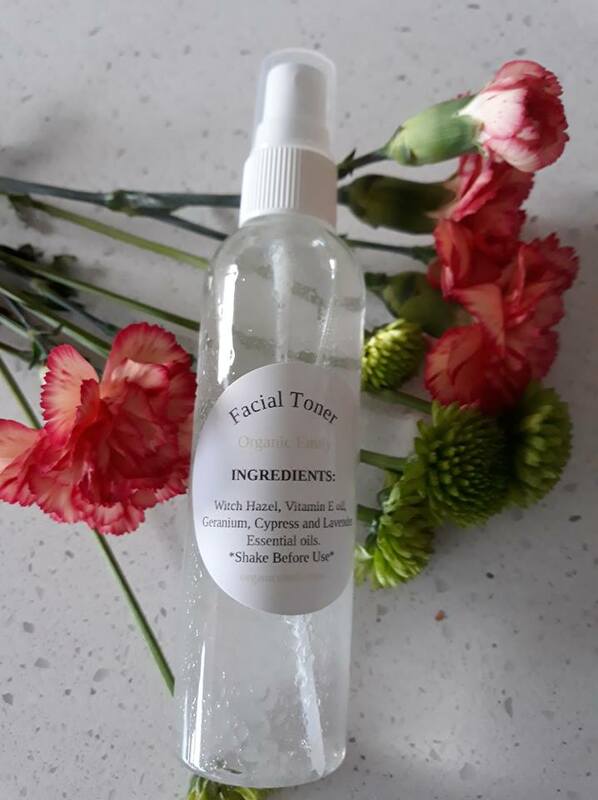 $5 – (4 ounce bottle) – This Facial Toner contains natural witch hazel and is a fabulous astringent that tones and tightens pores and helps decrease inflammation. The vitamin E oil helps to nourish and soften the skin. Geranium is used to regenerate cell tissue and improve circulation. Cypress in the formula helps to support strong capillary function and the lavender is used to help heal any skin conditions like rashes, eczema, scratches etc. 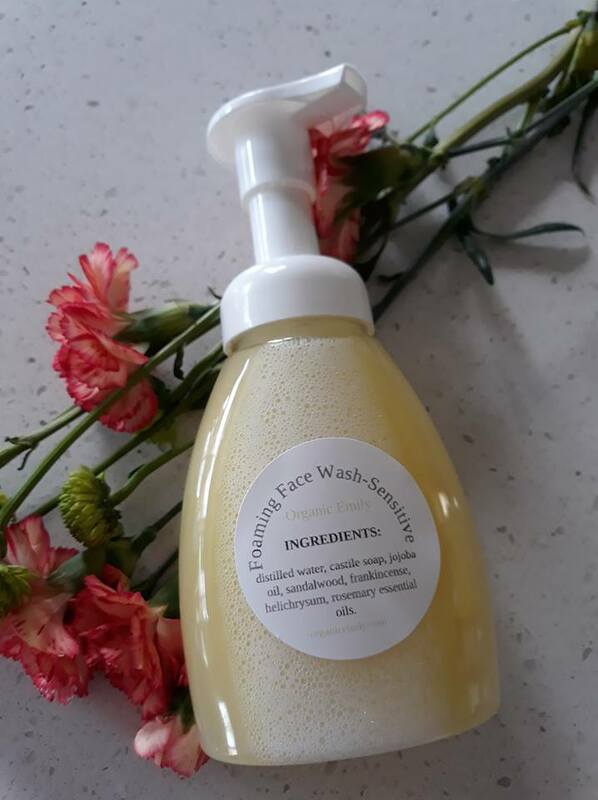 Shake before use after washing with foaming face wash.
Facial Serums are excellent external vitamins specifically for the face. They come in 10 ml airless pump bottles. They are used to reduce the signs of aging, decrease puffiness, soothe red and irritated skin, repair skin damage, and may assist with collagen regeneration. There are 5 different varieties to choose from to fit your personal needs. Use after washing and toning skin. To apply, use one drop on forehead, each cheek and chin. Gently stroke in upward motions. Shake before use. Let me know if you would like a custom formula made. All ingredients are organic. Should be used within 6 months. 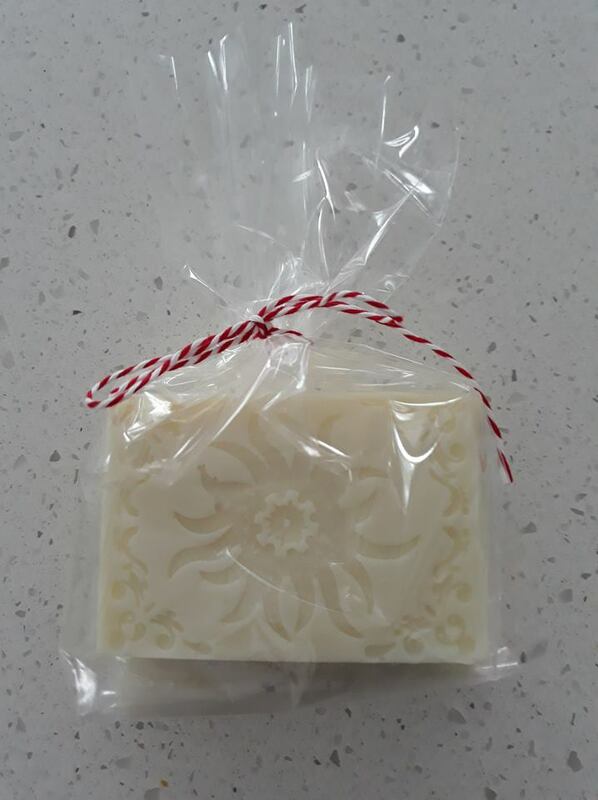 $6 – Normal Skin – apricot kernel oil, lavender, geranium and frankincense essential oils. Apricot oil is full of vitamins, fatty acids and antioxidants. It helps to prevent blackheads due to helping prevent oxidation. It is high in vitamin A to help prevent aging. It is great for soothing and softening the skin from the vitamin E it contains. Lavender is great for all skin issues, geranium regenerates cell tissue damage and frankincense is an anti-inflammatory. $7 – Dry Skin – rose hip seed oil, rose, jasmine, frankincense and geranium essential oils. Rose hip seed oil is very moisturizing because it contains essential fatty acids. It helps to reduce wrinkles, tighten pores, and helps repair skin damage with its high levels of antioxidants. It also brightens skin and helps to reduce scarring. Rose essential oil is soothing, jasmine balances hormones, improves elasticity and reduces scarring, frankincense is anti-inflammatory and geranium regenerates cell tissue. $7 – Sensitive Skin – jojoba oil, sweet almond oil, helichrysum, sandalwood, frankincense, and lavender essential oils. Jojoba oil is similar to human gland oil. It balances oil production preventing acne and other skin blemishes. It naturally deters microbes and growth of bacteria on skin. 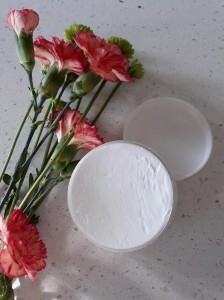 It doesn’t leave a greasy feeling and is gentle, making it safe for sensitive skin. It absorbs easily into the skin and contains lots of vitamins, antioxidants and minerals. Helichrysum protects from sun damage, sandalwood regenerates cell and tissue damage, frankincense is anti-inflammatory and lavender is healing. 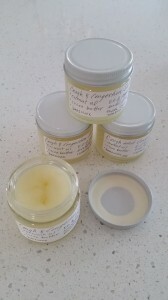 $7 – Combination Skin – jojoba oil, rose hip seed oil, frankincense, lavender, geranium and sandalwood essential oils. Jojoba oil and rose hip seed oil work together to bring about healthy glowing skin. Refer to sensitive and dry skin descriptions for more information. Frankincense is anti-inflammatory, lavender is healing, geranium and sandalwood regenerates cell and tissue damage. $7 – Mature Skin – rose hip seed oil, rose, helichrysum, frankincense and geranium essential oils. Refer to dry skin for information on rose hip seed oil. Rose essential oil is soothing and reduces wrinkles, helichrysum is a natural sunscreen, frankincense is anti-inflammatory and geranium regenerates cell and tissue damage. 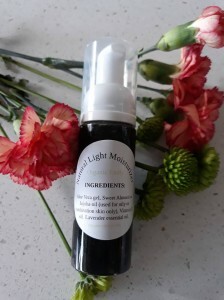 Natural light moisturizing lotion with activated charcoal is perfect for applying in the morning. The charcoal is purifying as it absorbs any microbes on the skin and doesn’t leave any black color behind. It also contains aloe vera gel which is soothing to inflamed tissue. For oily, combination and acne-prone skin, jojoba oil is used. For all other skin, almond oil is used. Lavender essential oil is also added as it is a universal essential oil for all skin types. May need to shake before use. Use within 6 months. – $8 for 1.7 ounce pump bottle. Choose the perfect gift set for a loved one or yourself and save! Comes in a gift bag with directions. $32 – Normal Skin – Contains normal skin foaming face wash, facial toner, normal skin face serum, daytime light moisturizer with sweet almond oil, 4 ounce nighttime moisturizing face cream. 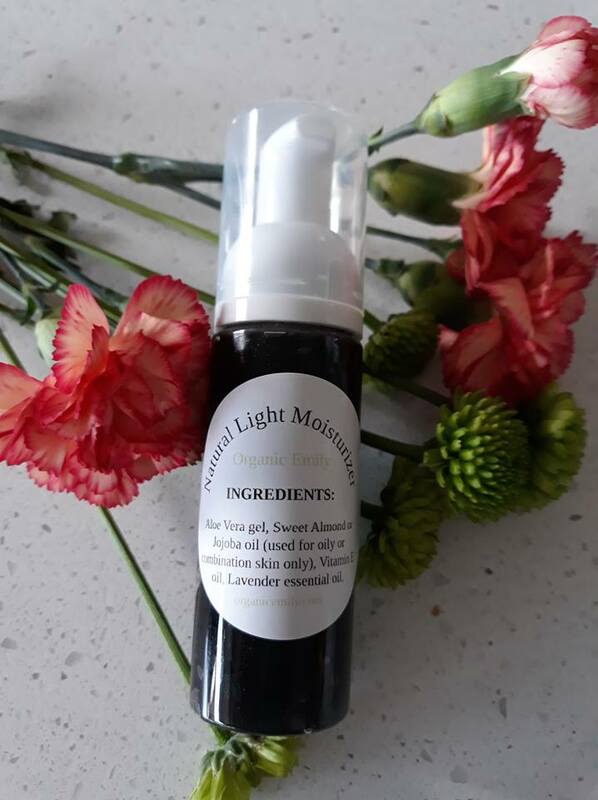 $35 – Sensitive Skin – sensitive skin foaming face wash, facial toner, sensitive skin face serum, daytime light moisturizer with sweet almond oil, 4 ounce nighttime moisturizing cream. $32 – Acne-Prone and Combination Skin – acne prone foaming face wash, facial toner, combination face serum, daytime light moisturizer with jojoba oil, 4 ounce nighttime moisturizing cream. 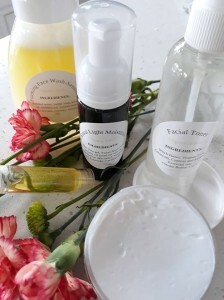 $35 – Dry Skin – dry skin foaming face wash, facial toner, dry skin face serum, daytime light moisturizer with sweet almond oil, 4 ounce nighttime moisturizing cream. $35 – Mature Skin – mature skin foaming face wash, facial toner, mature skin face serum, daytime light moisturizer with sweet almond oil, 4 ounce nighttime moisturizing cream. Comfrey and Calendula Lotion Bars are perfect for cracked hands and feet. Easy to carry around in a purse or keep on a nightstand. 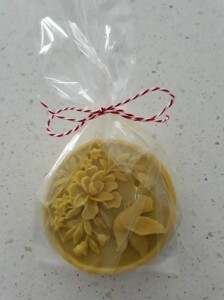 Ingredients: Comfrey and Calendula infused olive oil, cocoa butter, beeswax, vitamin e, essential oils. Price – $8 each – Citrus Lavender scent. 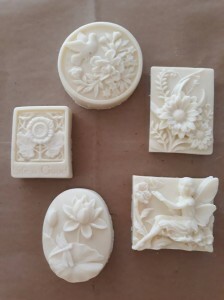 Natural Cold Process Soap lathers beautifully. You can know that each use is chemical free and nourishing to the skin. 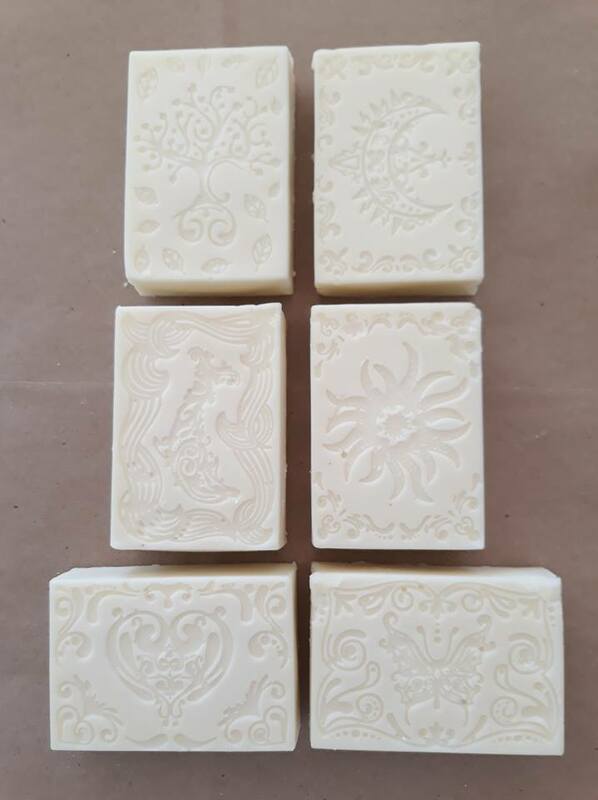 Ingredients: Coconut oil, Palm oil, Olive oil, Avocado oil, Cocoa butter, Sodium Hydroxide, Purified water, Essential oils. Price – $4 for a 4 ounce bar. Price – $5 for a 3 ounce bar. Comes in same bag as above. Herbal Soothing Salt Scrub and Soak is the perfect exfoliating and nourishing mix for dry skin. Just apply with gentle friction and soak in the tub to relax, mineralize and detox. I also offer after birth sitz bath. Inquire for more details. Ingredients: Epsom salt, Bokek Dead Sea salt, Calendula flowers, Chamomile flowers, Rose petals, Lavender buds, coconut oil and essential oils. Price – $5 for 4 ounces or $10 for 8 ounces. 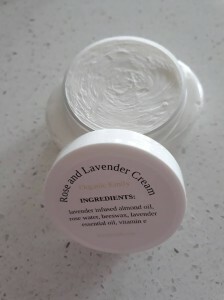 Rose and Lavender Cream is a luxurious treat for hydrating the face, hands and other stubborn dry areas. The rose and lavender scent is lovely and soft, but not over powering. Perfect to use for your bedtime routine. 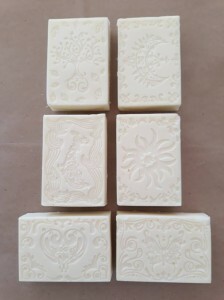 Ingredients: Sweet Almond oil, Rose water, beeswax, vitamin e, lavender essential oil. Price – $5 for 2 ounces or $10 for 4 ounces. 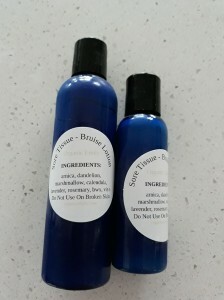 My Skin Salve is the best for scratches, cuts, scrapes, burns, bug bites and more. Each herb plays a role to help you mend well. 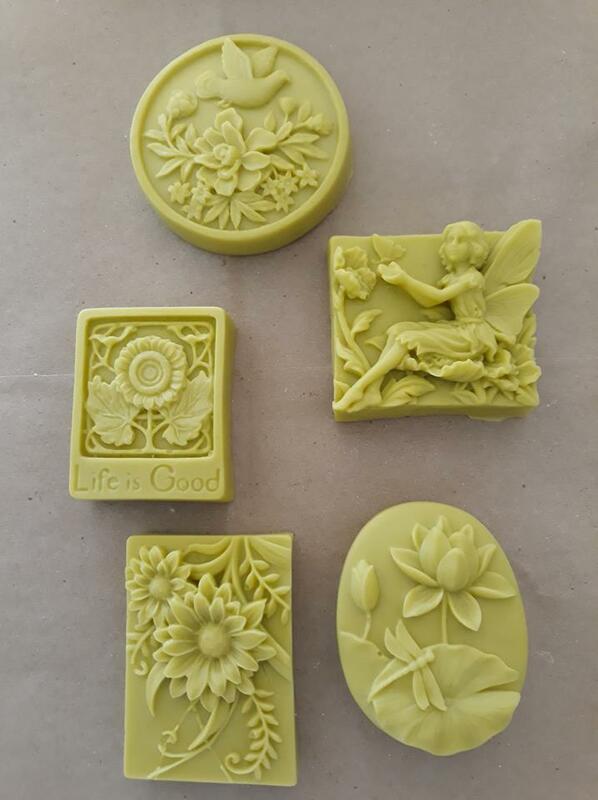 Ingredients: Herbal infused olive oil, beeswax, vitamin E and essential oils of lavender and tea tree. Price – $10 for 2 ounce jar or $20 for a 4 ounce jar. 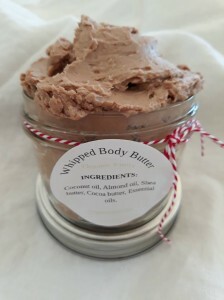 White Chocolate Peppermint Whipped Body Butter is rich and yummy. You may be tempted to eat it, but don’t. This is a perfect gift to put in the stocking. The ingredients make it deeply moisturizing. Another great moisturizer for the bedtime routine. Ingredients: Coconut oil, Sweet Almond oil, Shea butter, Cocoa butter, Peppermint essential oil. Price – $10 for 4 ounces. Chocolate Peppermint Whipped Body Butter smells so good you could eat it… but of course we won’t. This rich and deeply moisturizing butter is just yummy for the skin and the senses. 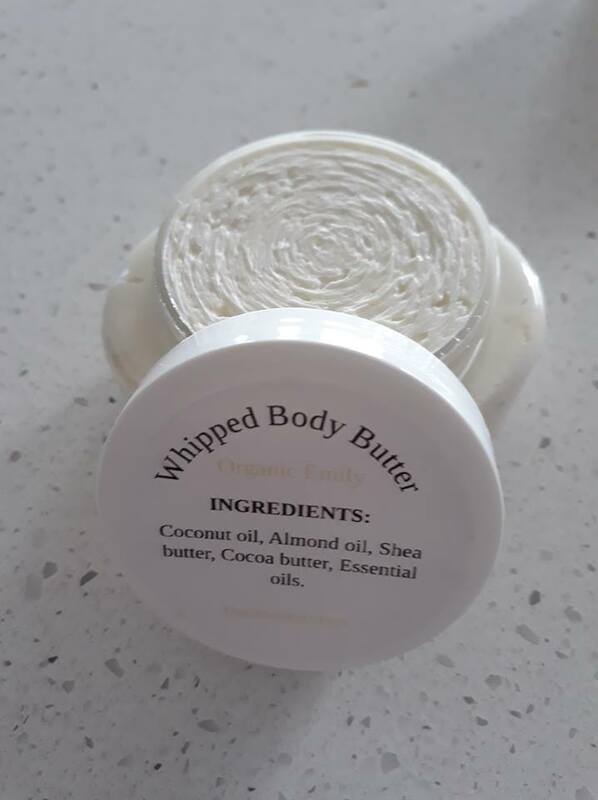 Ingredients: Coconut oil, Sweet Almond oil, Shea butter, Cocoa butter, Organic Cacao and Peppermint essential oil. Price – $10 for 4 ounces. Comes in same jar as the white chocolate body butter. Organic Emily Lip Balm – the perfect natural moisturizer. Ingredients: Castor oil, Mango butter, Cocoa butter, Beeswax, vitamin E, Peppermint essential oil. Citrus (grapefruit, orange and lemon) and eucalyptus peppermint are also available. Price – $2 per tube. 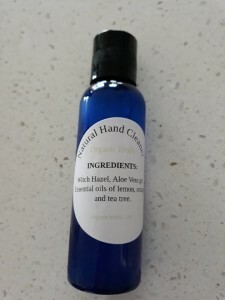 This Natural Hand Cleaner is alcohol free. Made with Witch Hazel, Aloe Vera gel, and essential oils. I can add alcohol if desired. Just ask. Price: $4 for 2 ounces or $8 for 4 ounces. 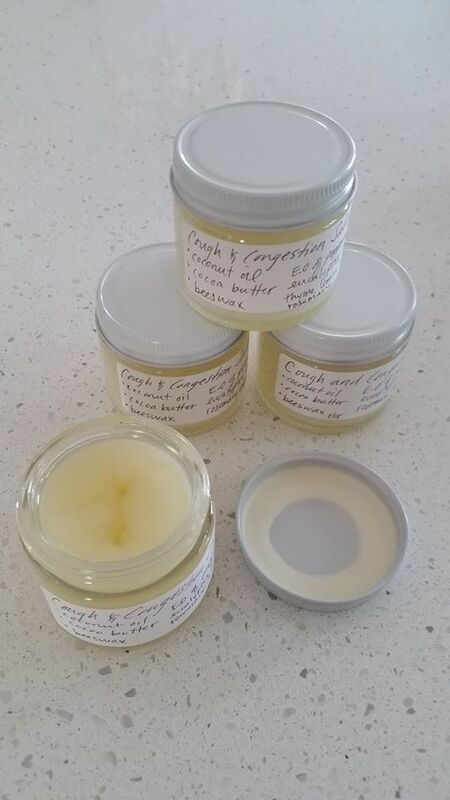 Cough and Congestion Salve – A natural alternative to menthol and petroleum based products. Ingredients: Coconut oil, Cocoa butter, Beeswax, Essential oils of peppermint, eucalyptus, basil, tea tree, thyme, lemon, rosemary. Price – $10 for 2 ounces. My Sore Tissue and Bruise Lotion works wonders for sprains, bruises and sore tissues in general. Do not use on broken skin. Ingredients: Arnica flower, Dandelion flower, Marshmallow root, Lavender buds, Calendula flowers infused olive oil, Beeswax, Purified water, Essential oils, Vitamin E.
Price – $6 for 2 ounces or $12 for 4 ounces. 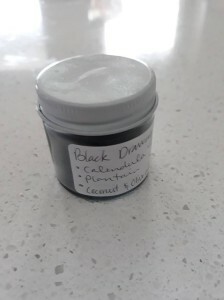 Black Drawing Salve contains activated charcoal, bentonite clay and other drawing herbs that are good for poisonous bites, stings or other skin issues. Great for taking on a hike. Ingredients: Calendula and Plantain infused Olive oil, Activated Charcoal, Bentonite clay, Coconut oil, Beeswax, Essential oils of Lavender and Tea Tree, Vitamin E.
Herpes Skin Salve – Soothing for any of the herpes virus infections, including chicken pox, shingles, cold sores and more. 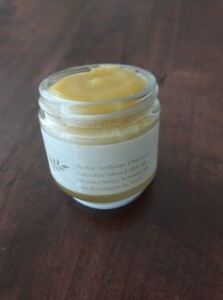 Lemon balm is one of the ingredients in this salve. It specifically targets the herpes virus and stops the replication so the infection gets better faster. 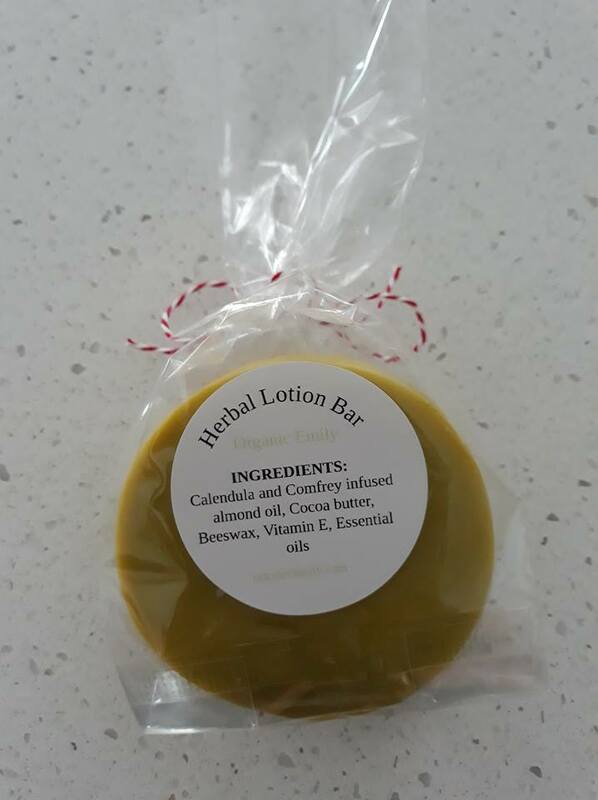 Ingredients: Calendula, Lemon Balm, Marshmallow root, St. John’s Wort herbs infused in Olive oil, Beeswax, Vitamin E and Melissa Blend Essential oil. 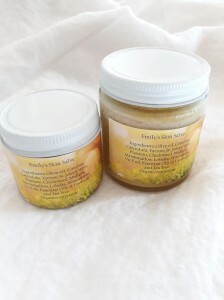 Fungal Skin Salve is also available. Great for anything like ringworm, athletes foot and so on. Ingredients: Black Walnut, Garlic, Goldenseal, Chamomile, Beeswax, Tea Tree Essential oil. Price: $10 for 2 ounces.